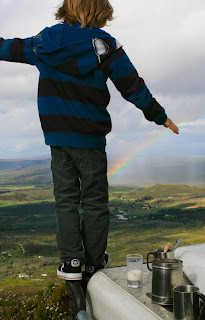 I'm not one for sacrifice, but when it comes to planning family holidays I, like most parents, buckle under the pressure of satisfying my child's every perceived need. When endless theme parks, water parks, zoos and museums no longer cut it, these six adventures may just send you packing. As more and more accessible and less expensive modes of travel – along with increasing international co-operation – have opened up the globe to families seeking fresh challenges, new possibilities seem endless. River rafting, abseiling, wilderness hikes, jungle boating, rock climbing, cattle drives, staying on a mozzarella farm, swimming with sea lions, trying-out as a bush tracker, chef, cowboy, or dog-sledder. These sort of trips will inevitably test your family's abilities and endurance. At the same time they will help to promote independence, a willingness to try something new and a sense of achievement – all so important to children and (more importantly) your sanity. People have been coming to the Bay of Naples from far and wide for thousands of years to build cities, farm the volcanic soil or just to enjoy the incredible beauty of the place. With Classicist Rupert Smith as your guide, this family journey designed around 11 to 14 year olds, will inspire and captivate the imagination of eager young minds. This family trip will travel from the 8th century BC when the Greeks headed west and founded their first Italian colony at Cumae to the 1st century AD when Vesuvius destroyed the port towns of Herculaneum and Pompeii. This May sees the launch of the ‘Smile Club’, a tailored facility for children at Villa San Michele, Florence. Housed in a former chapel with terrace, in a quiet part of the hotel grounds, the ‘Smile Club’ will be a complimentary service for young guests aged 4 – 12 years. Qualified staff will oversee carefully planned activities including jewellery making, pizza and cookie baking, Italian lessons, Florentine crafts, treasure hunts and nature trails, all designed to immerse children into Italy’s rich and vibrant culture. Open from May – September, Monday to Saturday from 10.30 to 17.00, Villa San Michele’s ‘Smile Club’ will cater for a maximum of 10 children at any one time. Complementing the new children’s club, a dedicated Kid’s Concierge will be on hand to help plan activities, advise on kid friendly restaurants or the best place in Florence to buy ice cream, treats or toys. Treasure Hunt: An adventure for the whole family, kids and parents can discover Florence with a lively and professional guide who will lead guests on a treasure hunt around Florence’s most famous museums, the Uffizi Museum and the Palazzo Vecchio Museum. Fun quizzes and games will lead children from one treasure to the next. The minimum length of the tour is three hours and the aim is to encourage children (and adults!) 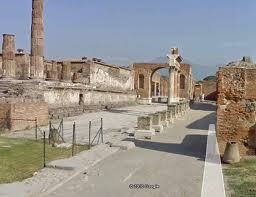 to learn about the abundant history and art in Florence while having fun. Young Chefs Academy: The hotel's renowned cookery school is offering children a chance to develop their culinary interests through special classes with the hotel’s chef, Attilio, who will go through the basics of Italian cuisine and pasta making, even picking some of the ingredients from the hotels own herb garden. As part of their class children will receive a cookery school apron, chef’s hat and folder with the recipes so they can recreate the dishes at home. The ‘Young Chefs Academy’ is available from June – August for a minimum of four children, aged between 6 – 14 years. 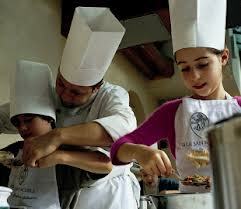 Also available are exclusive private cooking lessons for the whole family to enjoy together. 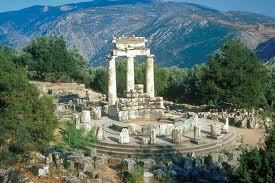 With expert classicist, Rupert Smith leading the way, this family journey goes back in time for total immersion in Greek myth, legend and ancient history where the Gods, heroes and villains of Ancient Greece will be brought to life. This experience was created to bring adults and children together in discovering an ancient civilisation in the powerful temples, mountains and oceans of Greece combined with time to swim in the turquoise sea, splash in waterfalls, and explore hidden caves along the way. Go Ape offers children the chance to step outside their comfort zone whilst enjoying the beauty of the British countryside. 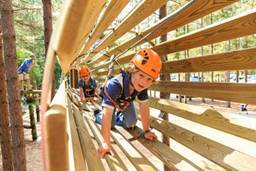 The UK’s leading forest adventure company - with 28 giant outdoor sites nationwide - junior adventure-lovers get to glide through the air on zip wires, swing through the trees on Tarzan swings and negotiate tree-top ladders and wooden bridges. Kids are fitted with a harness and given full safety training from an experienced instructor before tackling the course without supervision. Go Ape Tree Top Adventure three hour adventures are suitable for participants aged 10 years old or above, are at least 4ft 7in (1.4m) tall and weigh under 20.5 stone (130kg) Go Ape Tree Top Junior is a fun-filled one hour adventure for junior Tarzans of all abilities. The course is aimed at children aged between six and 12 years old, however anyone over a meter tall can also enjoy an experience involving canopy exploring, trail blazing and obstacles. Young adventurers can weave their way through a network of 20 looping obstacles including the Spiders Web, Log Balance and Jungle Crossing and finish on a high with one awesome zip wire. Guided by Shane Dowinton, a true living horse whisperer, this journey offers families the opportunity to experience nature, where children will be able to learn a new skill every day from bush-tracking and survival in the wild to star-gazing, sleeping and dining under the African sky. Geared towards young teenagers with a love of the outdoors, where they can learn how to be a wildlife photographer, build rafts and discover the African landscape on foot, from the saddle or bouncing through the bush in an open top game viewing vehicle. An enchanting family journey where clients can discover giant tortoises, hunt for treasure, swim with marine life and fish with local fishermen. Guided by Sandie Salazar Pico (who was a research associate for the Charles Darwin Foundation and has led several scientific expeditions), whose knowledge of the Galapagos and passion for conservation and wildlife is immediately infectious. Designed for 11 -14 year olds, this enchanting family holiday is filled to the brim with activities and based out of a family-run African style safari camp. Guests will have access to a world of secrets only reached by the smaller boats based at the camp.